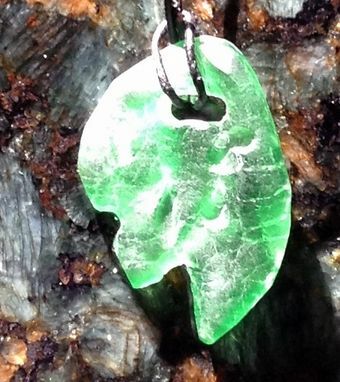 This pendant was made by hot working a piece of green glass, shaping and crackling the surface in the glass blowing studio. 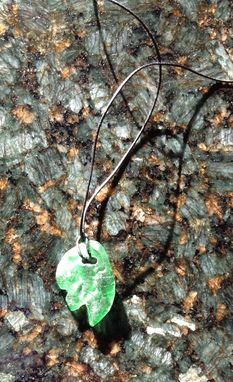 The pendant was then carved, drilled, and acid etched to give it character and a satin frosted surface. I'm very happy with my order from wolf-mattick. I received exactly what I wanted thanks to our the questions she asked before starting the project. She kept me updated and finished before the deadline she set. And I received the live just a few days after it was finished. Definitely consider wolf-mattick if your interestsed in custom glass work!